In the same way the large full moon rose over Music City following two high profile soccer matches at Nissan Stadium the sport of soccer is very much on the rise in Nashville, Tennessee. 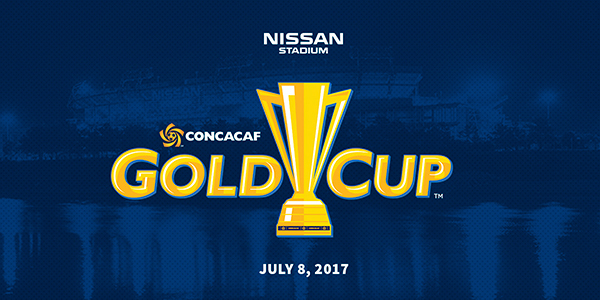 The largest crowd ever to assemble for a football contest in the State of Tennessee was recorded as the U.S. National Team took on representatives from Panama in the opening round of the CONCACAF Gold Cup on Saturday, July 8, 2017. Game #2 on that day featured squads from Nicaragua versus Martinique. Plans for pro soccer are in motion in Nashville. Not to be confused with the World Cup or the other regional tourney known as the U.S. Open Cup, the CONCACAF Gold Cup is the main associated football competition of the men’s national football teams governed by CONCACAF, determining the continental champion of North America, Central America, and the Caribbean. The competition is held biannually and serves predominantly as a try-out for players hoping to make their way onto the rosters of their national teams for the extremely popular FIFA face-off that is held every four years. In 2017, Nashville has emerged as a strong sports market on the strength and excitement of the NHL’s Predators first Stanley Cup Finals showing. Writers and media from around the world took note of the exuberant fans and how they and the city conducted themselves during those glorious eight weeks earlier in the year. 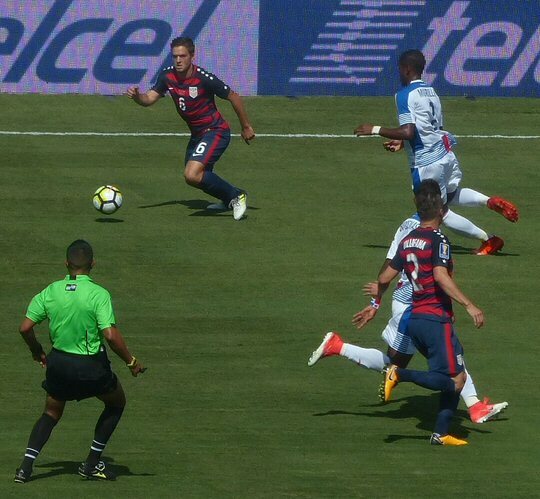 Also watching closely were officials from the MLS – the first tier soccer league in North America – who are currently considering the city’s application as an expansion team. 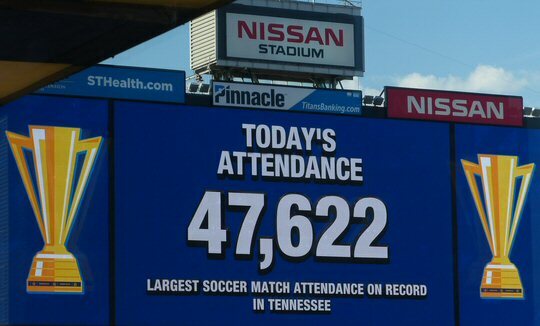 An attendance record is set as the “beautiful game” blossoms at the Nissan. 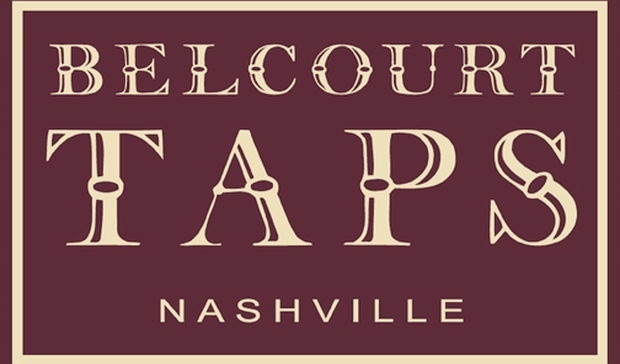 Whether or not the city receives one of the coveted spots to join the twenty-two year old establishment soccer is still on it’s way to Nashville. Music City has already been awarded a franchise in the developmental USL and will begin play in that league in 2018. The fan base is here and the multicultural demographic is positioned and ready to embrace their new heroes on the pitch. 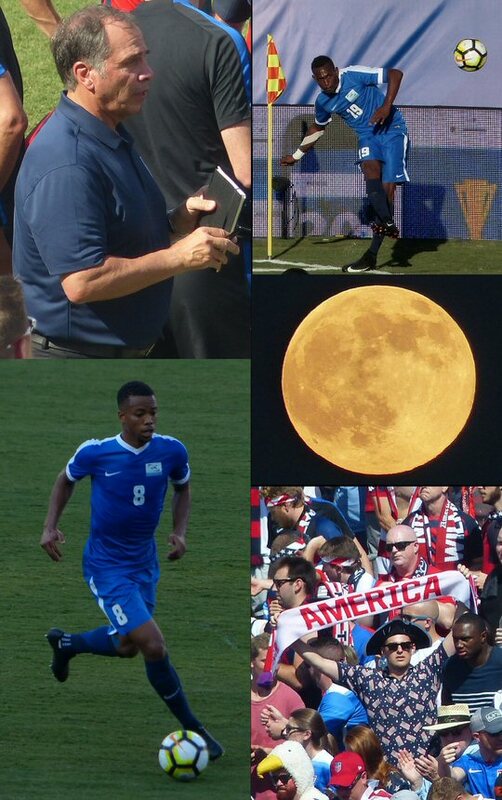 Coach Arena and scenes from the Gold Cup matches in Nashville. 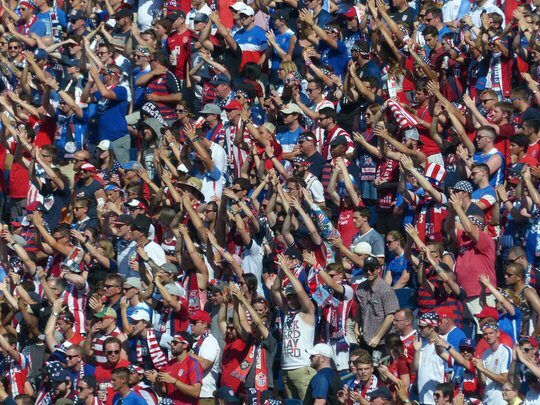 Speaking of fans – they poured out in force to support the U.S. National team. They marched over the Cumberland River via the pedestrian bridge to a parking lot that felt more like a carnival – complete with attractions and vendors. At kick-off there was a considerable festive atmosphere as members of the U.S. soccer posse known as “American Outlaws” led the crowd in chants while attired in red, white and blue clothing and costumes. Some were dressed as famous Americans and icons including Benjamin Franklin and Wonder Woman. During a post-game press conference the newly returned coach and Soccer Hall of Fame Inductee Bruce Arena blamed the scorching heat, a lack of water in the second half and poor coaching for his team’s disappointing showing that resulted in a 1-1 draw with their South American rivals. Fans in Nashville will get another chance to watch high caliber footballers contend with the predictable extreme elements in Music City as Manchester City will take on Tottenham Hotspur in their final International Champions Cup game at the Nissan Stadium on July 29. The patriotic fans came out in force to root their team to a draw in the opening round.